How Does Marmalade Differ From Jelly? How does marmalade differ from jelly or jam? Answer: Orange marmalade has long been a favorite spread for bread and toast. You may be surprised to learn that marmalade was originally made from a completely different fruit, one not even in the citrus family. 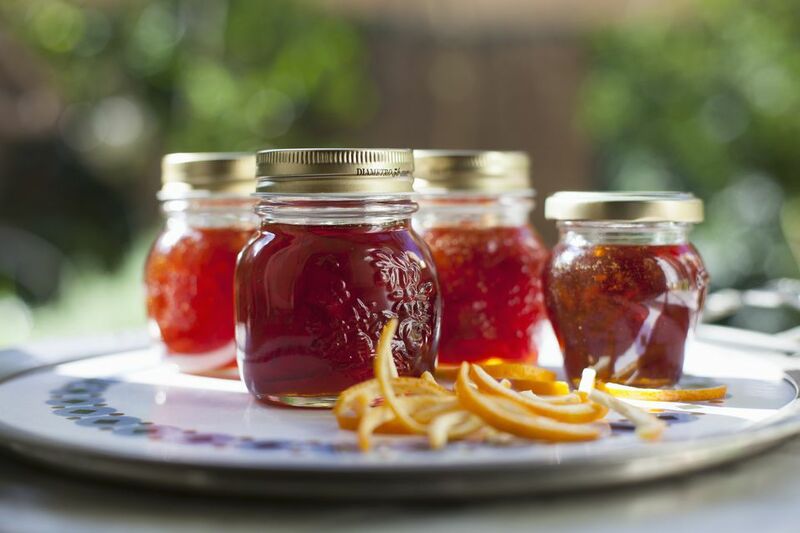 Marmalades are used not only as a sweet spread, but also as the main ingredient in a variety of bread and desserts as well as in sweet and savory for meat, poultry, and vegetables. The definition of marmalade has evolved over the centuries. Originally, it was a sweet spread made from the quince fruit. The term marmalade has conflicting origins. One account holds that marmalade was created by a doctor treating Mary, Queen of Scots, for seasickness by mixing crushed sugar with oranges. The story infers the term marmalade is a derivation of "Marie est malade," a French phrase roughly meaning "Mary's illness." However, most historians scoff at this explanation and believe the term came from the Portuguese marmelo for quince, from which original marmelada was made. Marmalade first appears in English print in 1524. By the 18th century, the Seville orange (a bitter variety) had replaced the quince in marmalade popularity. Today, the general definition for marmalade is a sweet in which pieces of fruit and rind are suspended. The key is the rind, which gives lends a bitterness to delightfully balance the sweetness of the jelly. Most marmalades have a citrus base, either orange (preferably Seville orange), , lemon, grapefruit, or kumquat. To this general base, many other fruits can be added to pique the palate. Some cooks use the terms marmalade and fruit preserves interchangeably. To further confound the issue, many chefs are creating new gourmet recipes with savory vegetables reduced to a spread they term a marmalade, such as Roasted Eggplant Marmalade.